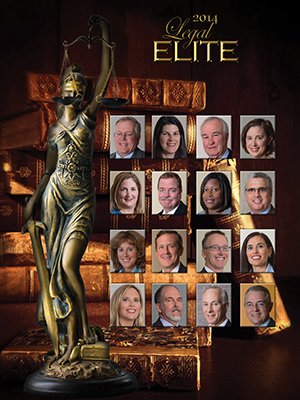 This year marks the 15th edition of the Legal Elite in Virginia Business. Begun in collaboration with the Virginia Bar Association in 2000, this year 1,315 Virginia lawyers nominated 3,461 of their peers in 16 legal categories. Roughly a quarter of the nominees, 920, made the final list. Since its beginning in 2000, the Legal Elite process has changed. At first, ballots primarily were cast by members of the bar association. Now voting is open to any licensed lawyer in Virginia. The process moved from paper ballots to electronic ballots in 2009. These ballots now are emailed to more than 11,200 Virginia lawyers and also are available on the Virginia Business website. Some of the profiles reveal how a legal practice can evolve over the course of a career. For example, Richard F. Smith of Smith Pachter McWhorter PLC in Tysons Corner relates how he became involved in alternative dispute resolution. Elaina Blanks-Green, a general tax attorney at Norfolk Southern Corp. in Norfolk, has advice for college students considering a law career. She chairs the Virginia Bar Association’s Young Lawyers Division. Excellent advice for any career. Click here for complete Legal Elite contents.